Sip hot ginger water made with feshly grated ginger after meals to increase Agni (digestive fire) and for more energy and better immunity! We really enjoyed our experience very much. This facility is wonderful. The cottages are very clean and have all modern facilities. The location in the midst of a tropical paradise is worth experiencing. The whole treatment procedures were very relaxing and soothing. The physicians and the staff are very caring. I would recommend this Ayurvedic retreat to anyone without hesitation. - Dr. Satish Prabhu, Clarkesville, USA. 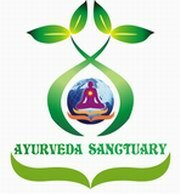 This is our first experience with Ayurvedic treatment. We ar ..